Forward-looking: Microsoft just applied for a patent on "smart fabrics" which would move touch interaction from just the screen onto the entire device. Such a technology would have wide-ranging applications, from tablets and laptops, to wearables, and even home furniture. If you thought only touching the screen to interact with devices was getting boring, you're in luck. Per a recent patent submission by Microsoft, the future of touch input lives in smart fabrics. Microsoft is purportedly planning on adding the smart fabric technology to its Surface devices, giving them an extra user interface alongside the touch screen. According to the patent, the tech involves touch sensors integrated into fabrics, turning any surface (no pun intended) into a capacitive input device. While Microsoft hasn't revealed any plans for the smart fabric, it's easy to envision possible uses for it. 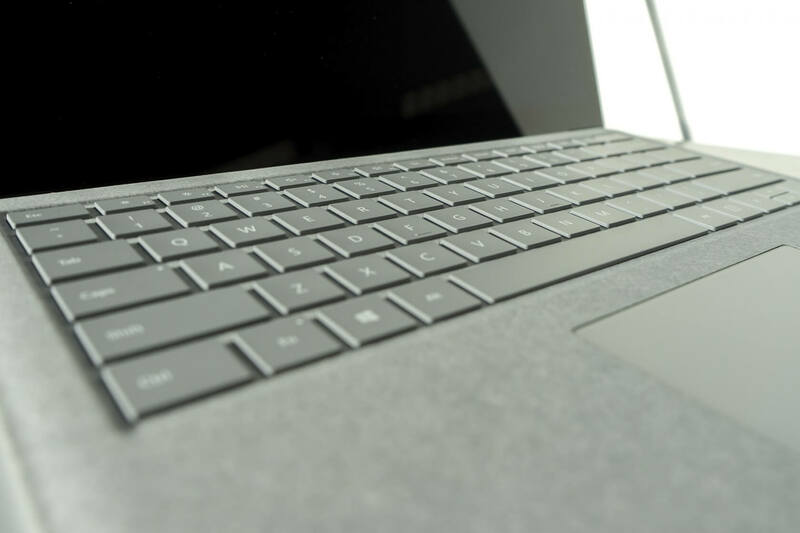 Smart fabric in the Surface Laptop and Surface Book could eliminate the need for a trackpad and adding the fabric to say, the Surface headphones, could allow for more granular control over features without needing to interact with a phone or laptop. Originally discovered by Windows Latest, the patent goes into some detail of potential use cases. In tablets, the fabric could be located on both "front side surfaces" and "back side surfaces", allowing for user input on either side of the device. The patent also mentions the potential use of the fabric in smart watches, galvanic skin response sensors, and heart rate sensors. The upcoming HoloLens is also mentioned in the patent description. Implementing the fabric into the adjustable band would allow users to control volume, settings, and a cursor with just a touch. Beyond electronic devices, the patent also depicts the tech in what looks like the arm of a sofa. Presumably, adding smart fabric into furniture would enable the control of televisions, lighting, and appliances without having to actually get up off the couch.